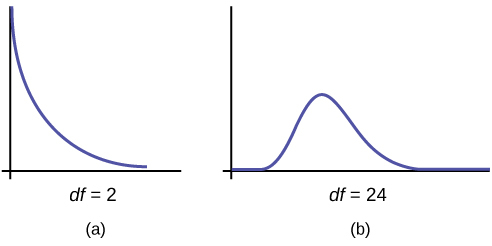 When df > 90, the chi-square curve approximates the normal distribution. For the mean, and the standard deviation, . Therefore, , approximately.